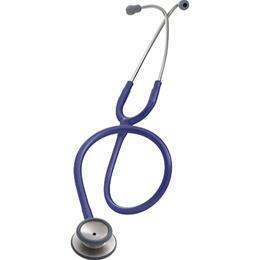 Featuring a two-sided chest piece, the Littmann Classic II S.E. Stethoscope offers high acoustic sensitivity. A tunable diaphragm on one side augments the traditional bell function of the opposite side. Available colors: Black, Burgundy, Royal Blue, Purple, Grey, Chocolate, Copper/Chocolate, Brass/Black, Caribbean Blue, Red, All Black.